1. A sacred symbol in the Japanese school of zen meaning circle of togetherness 2. Circle of life and connectedness of existence. 1. A maasai african name 2. Meaning “one of a good heart”. Enso, the design inspiration, and Koiyaki, a nod to the lineage and legacy for this development, come together to forge ENAKI, an embodiment of being at its finest, individually and communally. Timeless yet contemporary, Enaki is an exquisite new addition to its idyllic suburban surround, in an enviable city-fringe location offering vibrant, diverse and connected experiences. The vision for this holistic 22-acre development is a fusion of nature-inspired design and contemporary lifestyle to create a world that captivates mind, body and soul. The enchanting Five Senses Botanical Garden on one end links to the vibrant Town Square on the other through the Residences, all these carefully curating your journey from first light to sunset in the epitome of truly connected living. The Five Senses Botanical Garden draws on Enaki’s vision of the Circle of Togetherness, encompassing an effusion of experiences that ignite the spark of true holistic living. Designed by award-winning Spanish architects, this 6.3 acre masterpiece lures the senses and bequeaths a sensorial experience in a nature-bedecked forest’s embrace. Zestful experiences and intimate moments are orchestrated in a symphony of aromatic botany, over-water embraces, cavernous escapes and interactive trails meandering through the lush green canvas. Explore the tapestry of colors weaving in through the Coloured Shadows Gazebo, or observe the speckled dancing rays under the Sun Path as you take in the Path of Sight. Relish in the scent of wild roses and pure jasmine as you take repose in one of the Aromatic Rooms or stroll through the Scented Flower Tunnels along the Path of Scent. Create a footstep melody that is uniquely yours along the Rhythm Walk as you hear the Wind Melodies chime in the distance in tandem with nature’s own orchestra, bedecking the Path of Sound. Tantalize your taste buds with a stop at the Tea House and discover a myriad of succulents as you work your way around the Fruit Maze, a refreshing immersion in the Path of Taste. Let your fingers glide across wildly textured plants as your feet graze the dynamic surfaces of the Path of Embrace, then unwind at the Textured Curtains Gazebo, as you embrace the Path of Touch. The residential resort at Enaki is an unrivalled collection of bespoke homes crowned by luxury penthouses above and superbly crafted duplexes below. A montage of function, flair and form, the residences bring to Enaki a soulful living experience in an unmatched town setting. 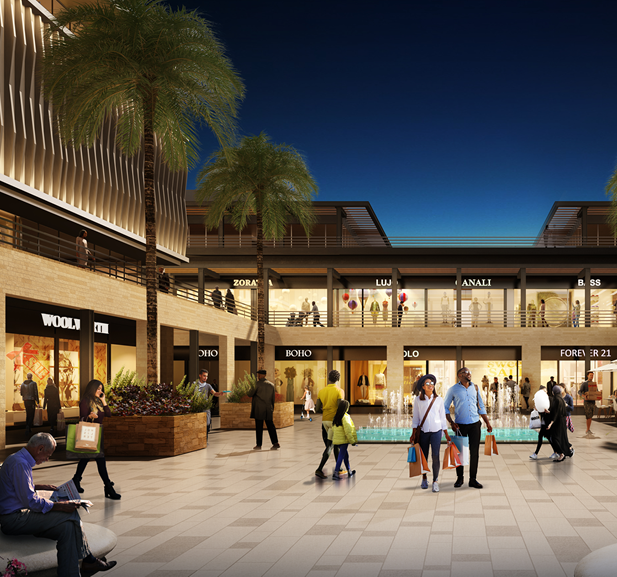 Situated on 6.2 acres and exuding a true cosmopolitan town ambience, the Enaki Town Square pays homage to the quintessential market place, the heart and soul of community interaction. A journey through the bustling piazzas, courtyards, tree-lined streets and alleyways provides discovery of the unmatched retail mix of outstanding dining, convenience shopping, entertainment and leisure. The establishment and sequential expansion of the UN, coupled with the concentration of embassies and NGOs in the area has created a strong local community in Nyari, Runda and Gigiri. 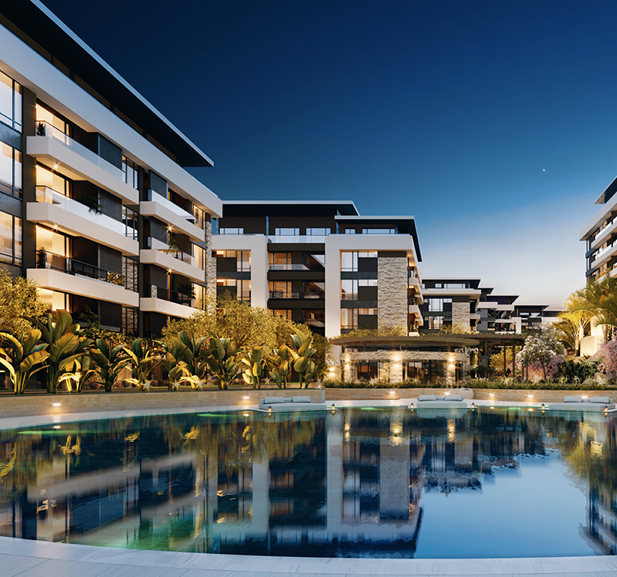 Developments with mixed-use wholesome offerings are garnering a wave of demand in Kenya and premiums in price and rentals of up to 40% as they meet a strong need for integrated living. The vision for Enaki has been to create a lifestyle experience like no other, with design hinged on a needs-based analysis of all demographics and benchmarked to global trends.